It can be difficult to stay healthy during the holidays with the plethora of treats, parties, stress and emotional triggers the season brings. Not to fret! 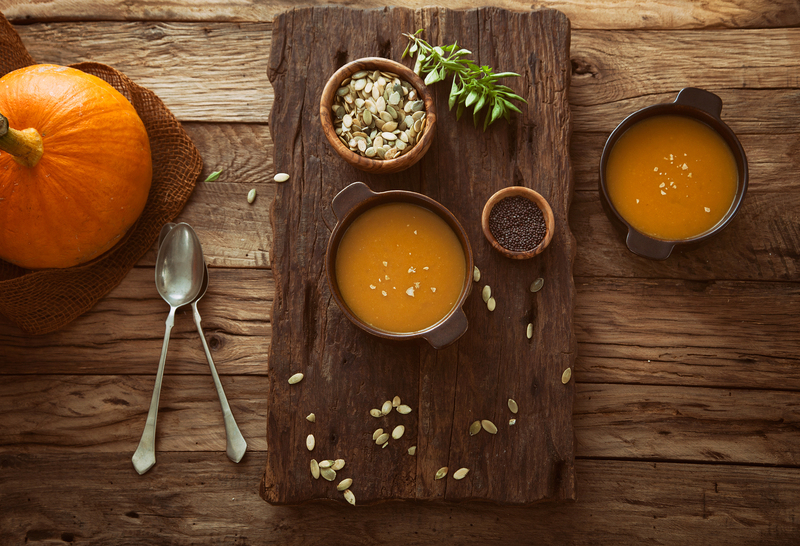 We’ve developed 8 simple ways to boost spirits and keep our health in check this year. As the holidays near, we’re bombarded with festive temptations wherever we turn. From treats offered by family and friends to parties and social gatherings, food often becomes a focal point of celebration. Having healthy and ready-to eat-snacks—such as raw veggies, fruit and nuts—are great ways to be prepared for the urge to indulge. One of the most effectives ways of combating these temptations is by eating six small meals throughout the day, rather than skipping meals to save up for one big feast. In order to keep our metabolic rates high and curb our sugar and fat cravings, it’s best to eat several small meals or snacks throughout the day. If you have a certain holiday treat you look forward to every year, don’t skip it! Simply hold off on most of the other goodies. Indulging in only select specialties gives you a taste of the holidays without the risk of triggering a chocolate binge from trying to abstain. It’s always best to maintain an active lifestyle, and this is especially important during the holidays. Staying active and getting at least 30 minutes of exercise per day is the best way to beat holiday blues and weight gain. It can even lower symptoms of depression, anxiety and stress. It’s easy to pack on extra pounds due to holiday beverages like eggnog, sugary juices, alcohol and sodas. Not only can alcohol pack a ton of calories, but it also affects the way calories are burned off when ingested. Consider having just one glass of wine or bubbly, rather than overdoing it, and try the same approach with eggnog and juices. You’ll thank yourself for it a few hours later. If you’re planning on attending a party where there will be plenty of indulgent temptations, try eating before the party. If you fill up on a healthy meal before the festivities, you’ll be less likely to overindulge on the party favors. So much of the holidays revolve around food, yet there are so many other traditions that we can focus on. Taking some time to focus on other aspects of the holidays can help curb overeating due to boredom and displaced energy. Try putting your time and efforts into decorating, making homemade gifts, singing carols, or charity work for those less fortunate. You could even start a holiday project to keep your mind focused and occupied. People sometimes struggle through the holidays, be it financially, emotionally or both. Helping out friends who may be having a difficult time is always beneficial to not only the friend, but your overall happiness and stress levels. Donating is another way to lend a helping hand. A study was conducted where people were given $100 with the option of donating or keeping it. Results showed that those who kept the money had higher levels of stress and cortisol. Those who donated the money were ultimately happier, as it activated the reward center of the brain. Even if you no longer believe in Santa Claus, you may still believe these 5 top myths about aging and exercise. After all, there’s a ton of information out there, it can be conflicting, vague and overwhelming. So let’s debunk these 5 aging & exercise myths once and for all. 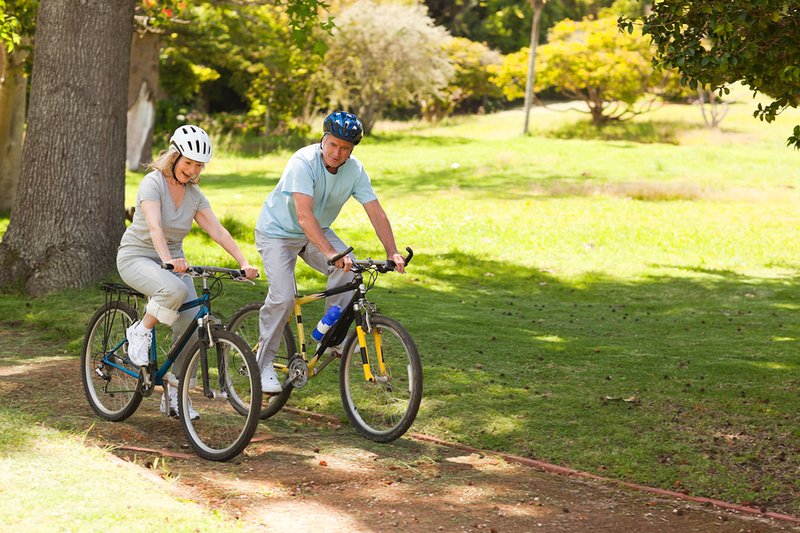 As we age, the importance of having an active lifestyle increases. Having a regular exercise routine is key for boosting energy levels, managing pain, treating illness and maintaining autonomy. In addition to physiological advantages, exercise is essential for our psychological well-being, as it benefits the mind, memory, and mood. The following five myths pertaining to exercise as we age may contribute to the tendency toward its decline over time. I’m going to age whether I exercise or not, so what’s the point? While it’s true that exercise cannot prevent aging altogether, it can most certainly slow it down, and even reverse some signs and symptoms. Participating in cardio and strength training helps us to feel and look younger, and even live longer. There’s a saying, “use it or lose it,” which applies to our level of activity as we age. This statement is supported by Dr. Wayne Scott Anderson in his health blog. He states that physical activity is directly correlated with longevity. While genetics contribute to approximately 20-30% of our expected longevity, the other 70-80% is based upon our level of activity, as determined through twin studies. Recent studies in The American Journal of Medicine and British Medical Journal have shown that those with larger amounts of muscle mass and physical aptitude live longer. Older people should rest, save their energy, and not exercise. This is a very unhealthy myth to own. In case the above paragraphs haven’t convinced you, HelpGuide.org states that those aged 50 and up face serious health risks due to inactivity, such as increased pharmaceutical use, more frequent doctor and hospital visits, and an inability to do things they once could. Exercise can increase my risk of falling. It is actually the opposite. 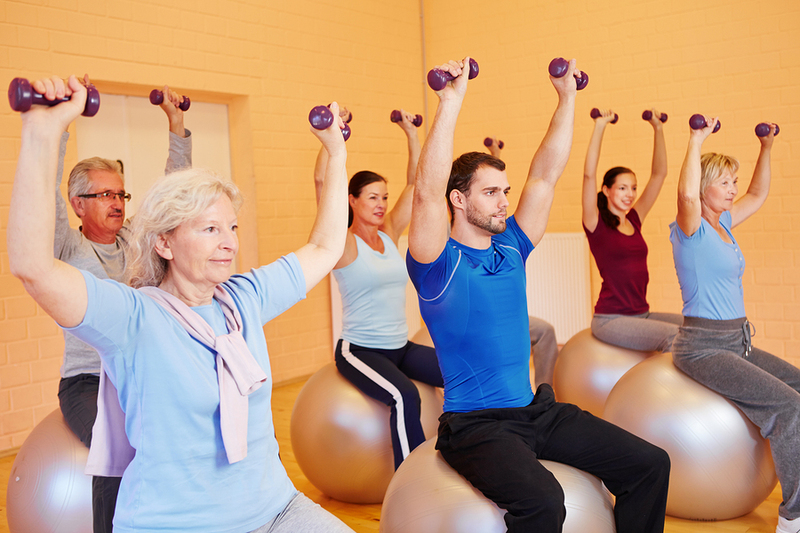 Exercise prevents bone loss, and builds strength and balance -thus, reducing the risk. It’s never too late to form healthy behavior patterns. The best way to start is through making small changes to daily habits, such as walking more, taking the stairs, doing things by hand a machine used to (like dishes) and keeping a routine for the next 3-4 weeks, so that it becomes habitual. A good model for improving physical health is to start with some cardio, then to gradually add weights and flexibility/balance exercises. 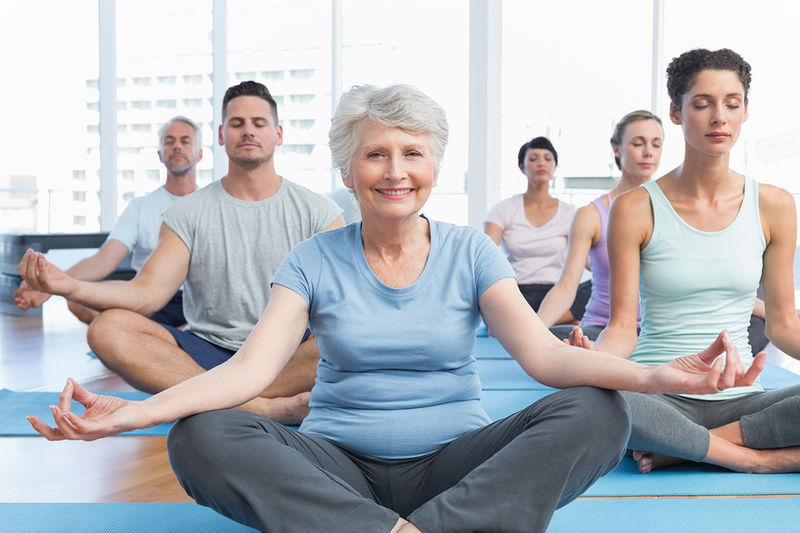 Activities such as water aerobics, yoga, Tai Chi and Qi Gong are useful in helping seniors achieve and maintain better health. I’m disabled, I can’t exercise. While being disabled and/or wheelchair bound presents challenges, it’s still possible to get exercise. Things such as stretching, lifting weights and even chair yoga can help increase the heart rate. Resistance bands are often useful in wheelchair bound exercises. For those who do not own weights or resistance bands, cans of soup may be used instead. The recipe for greater health and longevity is now yours. It is important to remember that exercise should not hurt, and it is best to consult your doctor before beginning a new regimen. Assistance while increasing your activity is always here for you. Give us a call to learn more about in-home care. Have you heard of the new 80/20 rule for getting and staying healthy? 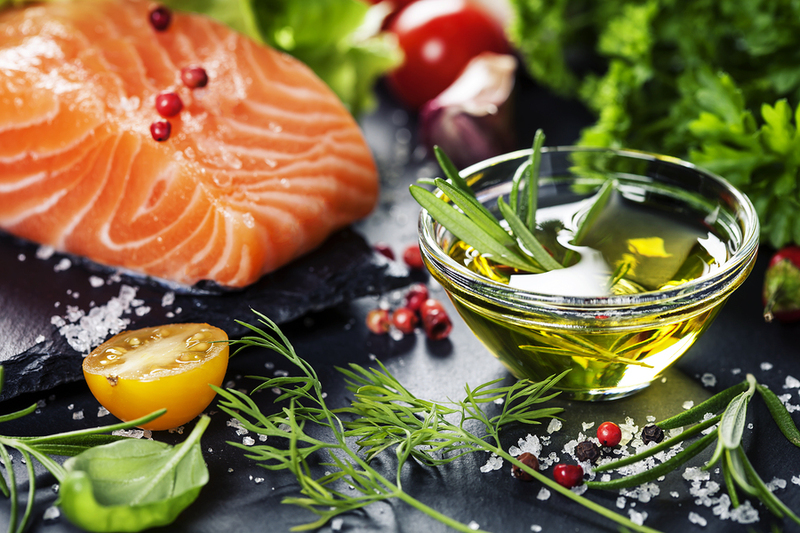 While you may be familiar with the 80/20 rule for a healthy diet, research suggests there’s more to healthy weight loss than just eating healthy 80% of the time and indulging in less healthy food 20% of the time. Exercise is part of the new 80/20 rule, and while many believe 80% of getting healthy relies on physical activity and 20% on diet, registered dietician Katherine Isacks says it’s actually the other way around. The truth of the matter is that 80% of our weight correlates with what we eat and the recipe is still 80% healthy and 20% indulgent food, according to Rose Erickson at Livestrong. Now that we can have our cake and eat it too, does that mean we should immediately go and spend an hour at the gym vigorously trying to burn it off? Studies suggest exhausting ourselves at the gym for an hour or every per day doesn’t actually prompt more weight loss. Research conducted at the University of Copenhagen suggests that those who instead engage in moderate exercise routines are setting themselves up to achieve greater weight loss results than those who jump into vigorous workouts at the gym. This study focused on three groups of young males who were healthy, but inactive: the control group that didn’t change their diet or exercise habits; the moderate group that participated in 30 minutes of exercise per day; and the intense group that added an hour of exercise per day. The study extended throughout the course of 13 weeks. As predicted, the men who made no changes experienced no change to their weight or physique. However, the following results may surprise you. While the intense group of men that worked out for an hour per day lost an average of five pounds each, the men who engaged in moderate exercise of 30 minutes per day actually lost an average of 7 pounds each. How could greater weight loss results be achieved from doing half the amount of exercise? Each group tracked what they ate during the study, and reported on their overall activity levels throughout the day. Those among the intense workout group tended to eat more, as their bodies were prompted to replace the 600 calories they had burned. They were also less active during the day when not working out. The moderate exercise group only burned 300 calories per day, and reported higher levels of sustained energy. This group was more active throughout the day; engaging in positive lifestyle changes more readily, like taking the stairs and walking. They also didn’t report much change in their eating habits, as they weren’t burning enough to prompt a surge in hunger. The intense group did gain more muscle, however, which weighs more than fat. This new research sheds light on specific misconceptions regarding diet and exercise, and shows that it isn’t necessary to overexert ourselves at the gym. 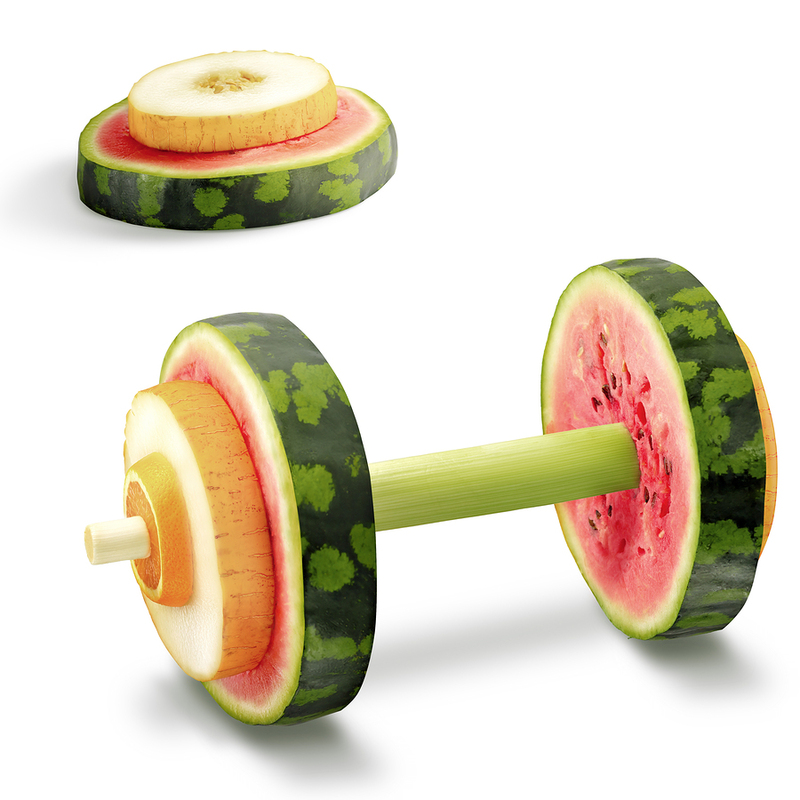 Rather, moderate exercises prompted increased energy and less temptation to overeat. While this study failed to compare results over time, this is a good model for jump-starting your own fitness plan. Moderate levels of exercise, combined with a diet that’s 80% healthy and 20% indulgent, may be the recipe to better health. For so many of us, Thanksgiving is a time to spend with family and friends, give thanks for our many blessings, eat, drink, watch football, be merry, and did I mention eat? Feasting until our stomachs nearly burst has become a common tradition for many as we kick off the holiday season. But while we’re used to eating until we can’t possibly eat anymore, is this really the best way we to celebrate our blessings? While it’s true that food is a blessing, it can also be a curse if we overeat or abuse it like a drug. 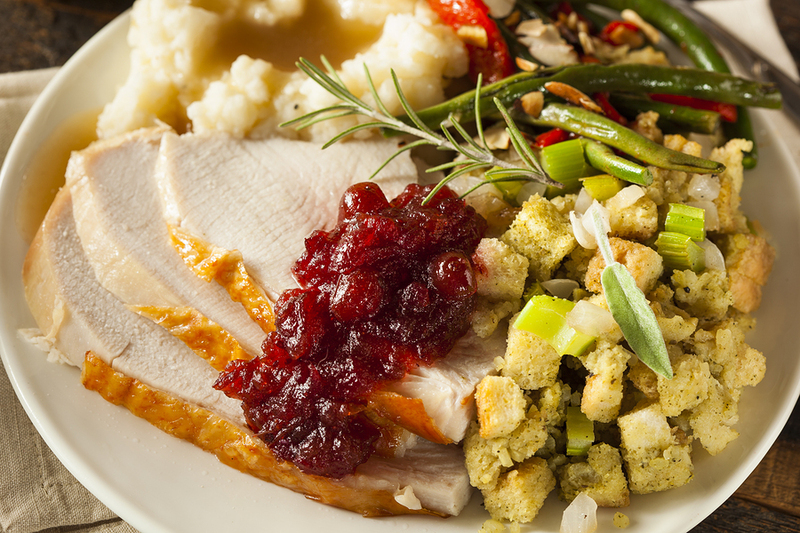 That’s why we’ve found a remedy this year: the 500-calorie Thanksgiving Day meal. Research by the University of Adelaide and the University of Connecticut show that food that’s high in fat and sugar triggers the same pleasure center of our brains that methamphetamines or cocaine would. These foods stimulate the neurotransmitters of the mesolimbic pathway—particularly dopamine—thus giving us a “high” and actually leading us to feel addicted to food. That’s one of the reasons it’s so difficult to only eat one potato chip. This also contributes to a typical Thanksgiving Day meal packing in around 4,500 calories, according to the Calorie Control Council—significantly more than the 1,500 calories recommended for females and the 2,000 calories recommended for males, says registered dietician Mary Ellen Herndon. 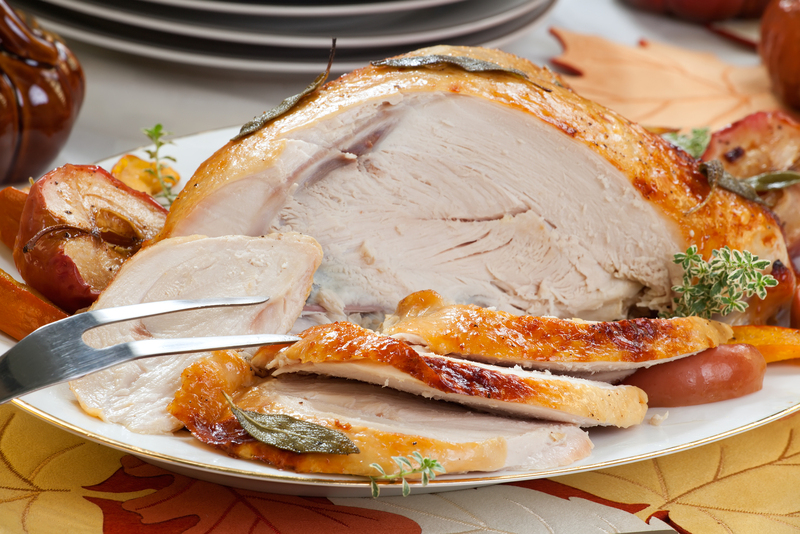 Herndon further suggests a Thanksgiving Day feast should only occupy 1/3 of these calories. That leaves us with 500-700 calories to work with. While this may seem impossible, the lovely folks at Spark People, Live Science, Women’s Health and Pinterest have compiled some healthy holiday tips, as well as delicious low-calorie recipes for everything from meals and side dishes to desserts; helping keep this holiday’s indulgences on track with your personal health goals. The best way to keep calories below 500-700 is to start with filling half of your plate with low-starch vegetables and greens. This should then be accompanied by a 3-oz portion of turkey (lean meat, as it’s lower in saturated fat). The rest of the plate may be filled with small ½-cup portions of your favorite trimmings. Some suggestions for cutting calories on sides is to replace the green bean casserole with steamed green beans; cranberry jelly with real cranberry relish; mashed potatoes with roasted sweet potatoes or squash; rolls with cornbread; gravy with a light apple cider vinegar gravy; and traditional stuffing with a healthy alternative made from fruit and veggies. 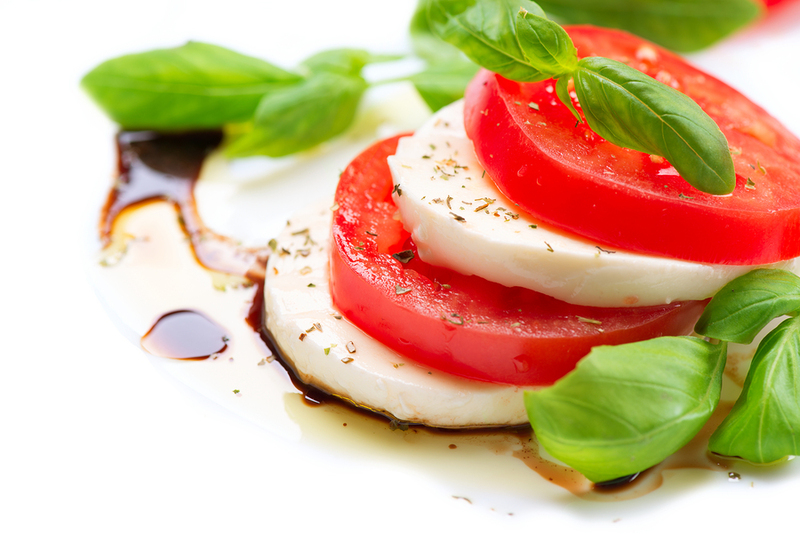 You can also try new recipes for healthy, low-calorie side dishes. The links above contain several additional tips and recipes to try. 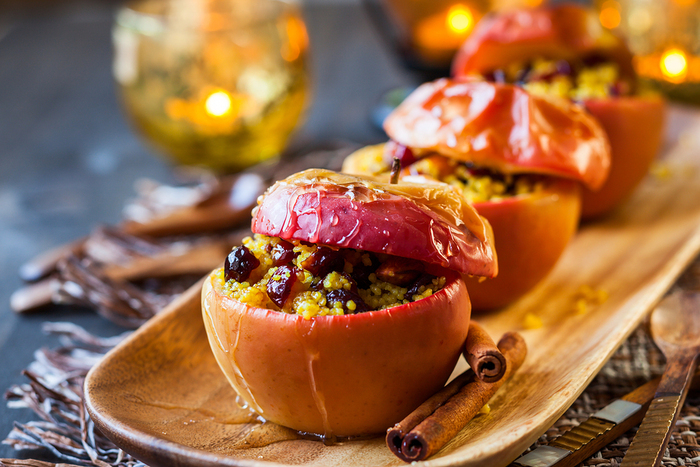 A healthy alternative to pie or other desserts can also help lower the calorie count, as can substituting cooked and mashed cauliflower for potatoes or root vegetables, and even replacing all uses of butter with garlic, herbs and chicken or vegetable stock for flavoring. So there you have it! We hope we’ve given you all the tools you’ll need to enjoy your holidays without the stress of overeating. Don’t forget to reach out if you’d like more tips or advice this year! By October, many Medicare recipients are deep in the doughnut hole. Medicare prescription drug plans (Part D) typically have a “doughnut hole”, or coverage gap, which imposes a temporary limit on coverage for drugs. Most people enter this gap after they have reached a spending threshold for covered drugs. For the year 2014, this threshold is $2850. Once this ceiling is reached, you have reached the coverage gap. The good news is that this threshold will be higher in 2015, with increasing subsidies to help you save in the coverage gap. Fortunately, the Affordable Care Act (ACA) incorporates improvements to Medicare Part D prescription drug coverage for future years. These improvements were designed to help seniors afford their prescriptions while they are in the doughnut hole. 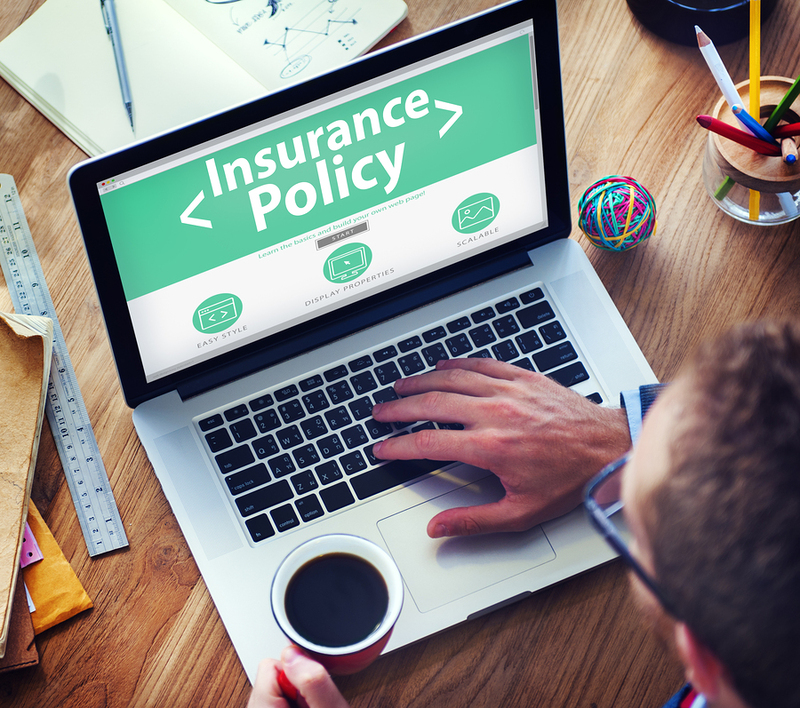 In 2015, beneficiaries will pay 45% for brand names, and 65% for generics. Gradually, copayments required for both brand name and generic drugs are being reduced to 25% for both drug types in the year 2020. This is the same percentage you pay from the time you meet the deductible until the out-of-pocket spending limit is reached (up to $4700 for 2015). http://www.medicare.gov/part-d/costs/coverage-gap/more-drug-savings-in-2020.html As 2015 rapidly approaches, now is a good time to determine if your health care plan is meeting your needs. An appointment with Phoenix Home Health Care can help you organize your appointments, screenings, and prescription needs in order to optimize your insurance coverage. The ACA also offers further assistance for low-income beneficiaries by eliminating copayments for beneficiaries who may be recipients of home and community-based services, and who are eligible for both Medicare and Medicaid. 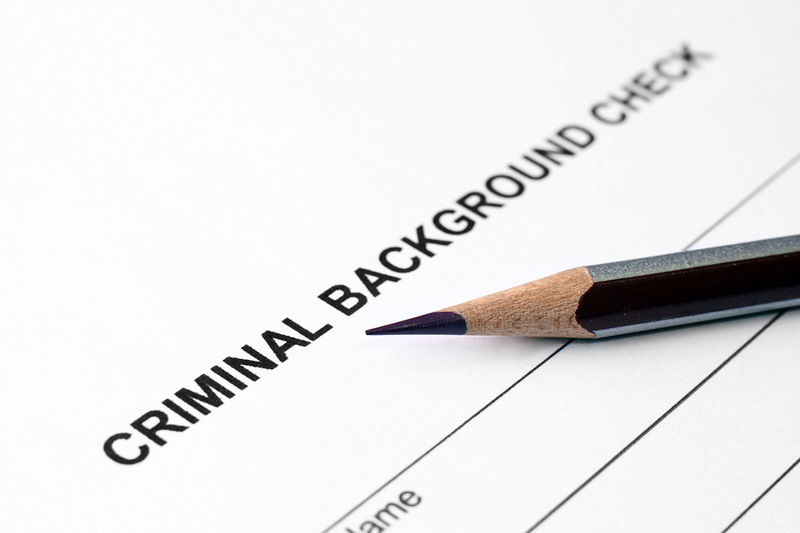 Assistance is also available in order to allow widows and widowers to preserve their low-income eligibility. 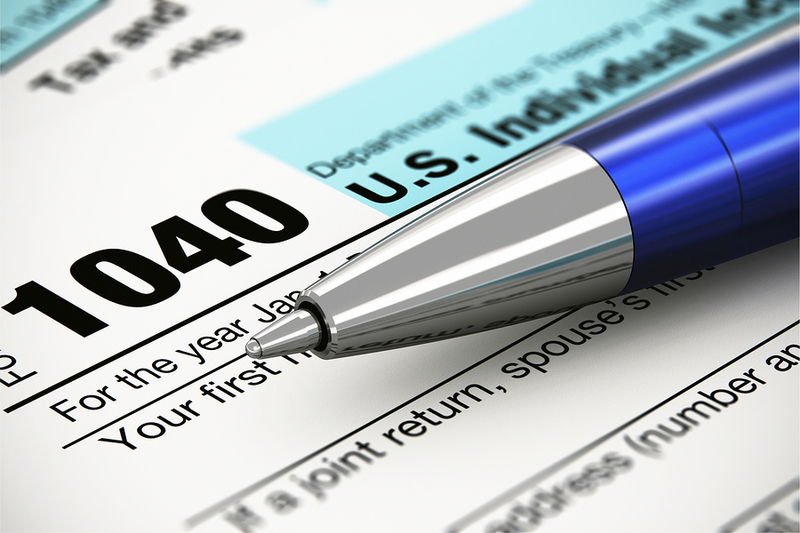 Home Care Phoenix can help you determine whether you are eligible for this additional assistance. 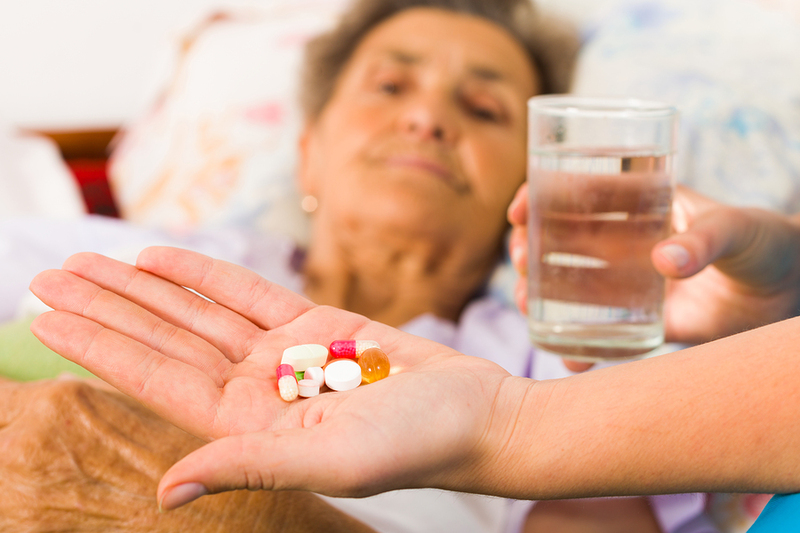 For tips on how to lower drug costs, visit us at MD Home Health, where you can learn more about Homecare Phoenix. Find health and drug plans, stay educated, and learn more about what Medicare covers through the Phoenix home health care team! The effects of Alzheimer’s disease are utterly devastating. With no cure for the ailment, the patient only worsens as time passes and Alzheimer’s continues to progress. Even the most basic day-to-day activities become more of a challenge. So, for those suffering from Alzheimer’s, and their relatives and caretakers, it is very important to adopt major practical tips for effectively handling the disease, which in turn can maximize the quality of life for everyone involved. Accept changes. With Alzheimer’s, just like any other degenerative disease, change is inevitable. The patient begins to experience memory loss; progresses to speech difficulty, irritability, and outbursts of unpremeditated aggression; and, finally, apathy, exhaustion, and loss of speech. These changes can cause some sufferers to deny that they are happening, so they put up a front to avoid feeling embarrassed. However, denying the existence of Alzheimer’s can increase stress on the person. Rather, the patient should accept the changes in his or her abilities to ward off anxiety and work towards coping with the disease. Reduce frustrations with the disease. It is hard to imagine having difficulty with even the simplest daily tasks of one’s life. However, there are things patients can do to ease the frustration. They can use a schedule to make each day more predictable and less confusing for them; that includes taking more time for performing tasks, so that they don’t feel rushed or that they’re holding up something. Also, patients should be able to do as much as they can with the least amount of assistance. That way, they can feel a considerable level of independence. It would also be helpful to reduce distractions—such as turning off the TV—for increased concentration on accomplishing tasks. Be more flexible. 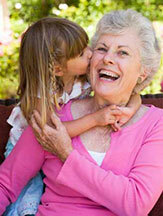 It is not just the schedule of the Alzheimer’s patient that is affected. The loved ones in the person’s life also have to adapt to the ravages of the disease. For instance, certain foods that the patient once loved might suddenly become unappealing, which would require adjusting the menu accordingly. Rely on professional assistance. If caring for a loved one with Alzheimer’s disease becomes too much of a burden, people can turn to the assistance of home health care providers. A prime example is MD Home Health, which is headquartered in Phoenix, Arizona. 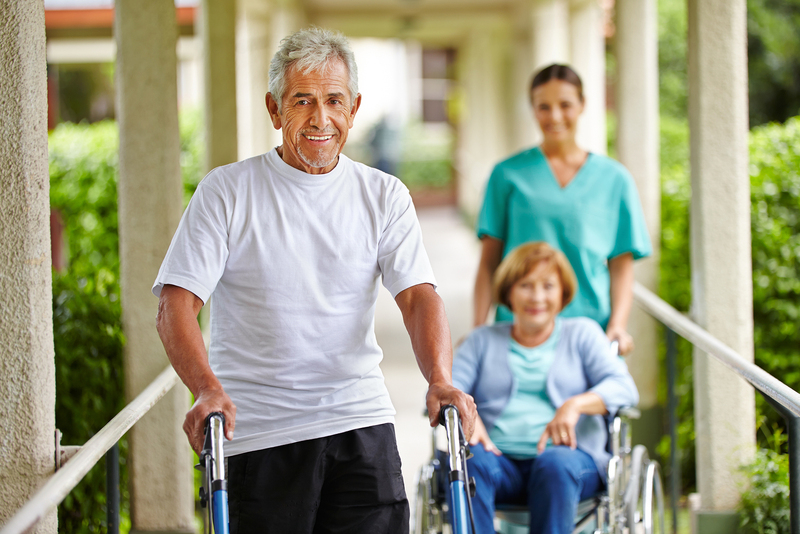 State licensed and Medicare-certified, MD Home Health provides a wide range of medical and non-medical services. Patients can be tended to in their own homes or at the facility; relatives can determine the best option or range of personal care services needed to ensure the ultimate goal of a high-quality life—even with Alzheimer’s. Becoming a caregiver for a loved one with Alzheimer’s is a job in itself. You are not only responsible for yourself, but also for the daily activities and well-being of a dependent adult. You may already be trying to juggle caregiving responsibilities and the time-consuming demands of a career. But what if you also have a role as a caregiver of kids? Wearing so many caregiving hats can be a struggle, even for the most organized among us. Often, caregivers find themselves sandwiched between the need to care for a parent afflicted with Alzheimer’s and the immediate needs of their child. Switching between these roles is never easy, but by doing some planning, life can become a little easier for both you and your family. Caregiving requires patience, skills, and time. Taking care of a loved one with Alzheimer’s can overwhelm our abilities to meet their needs, especially when also caring for children. 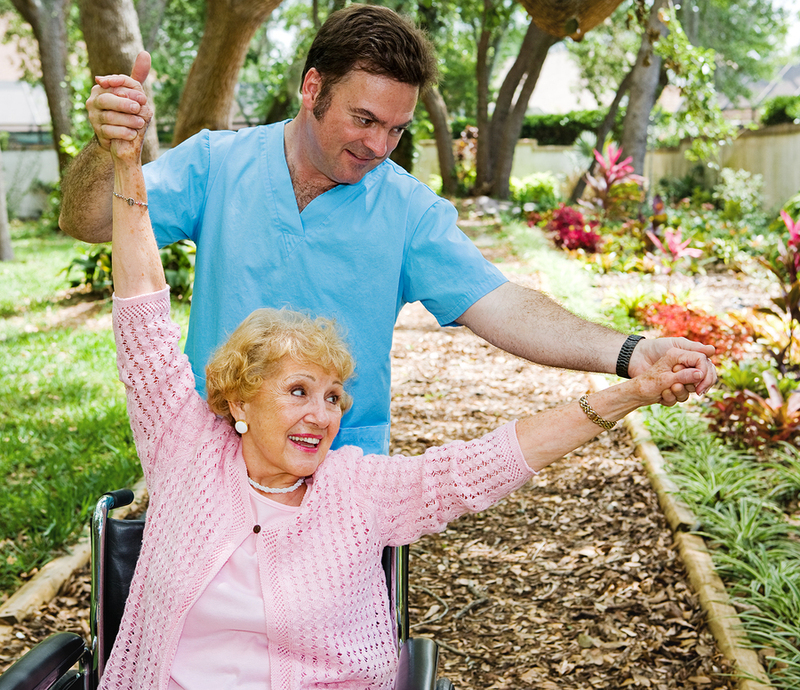 When any of these critical caregiving qualities fall short, you need assistance. 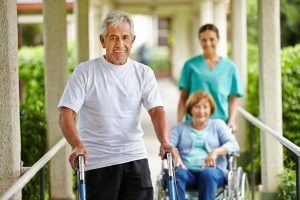 Organizations such as Home Care Phoenix can provide you with dependable caregiver support, to help you better manage your time, responsibilities, and caregiving resources. A healthcare professional can also help educate you regarding the many nonintuitive facets of Alzheimer’s care. Entering into the caregiving role means coming to terms with the many facets of Alzheimer’s Disease. Patients with Alzheimer’s can live upwards of 10 years after the diagnosis, and as the disease progresses, so does the caregiving time commitment. Becoming a caregiver means coming to terms with the fact that you are in this for the long haul. That means your relationship with your family will also inevitably be changed. Although time can be tight, be sure to set aside at least a small amount of time each week to reconnect with your family outside of your Alzheimer’s caregiver role. This will allow your kids and spouse the chance to have their voices heard. Not least of all, you need to care for your own well-being. Your role as a caregiver is weakened, for both your kids and for an Alzheimer’s patient, if you are physically or mentally diminished. 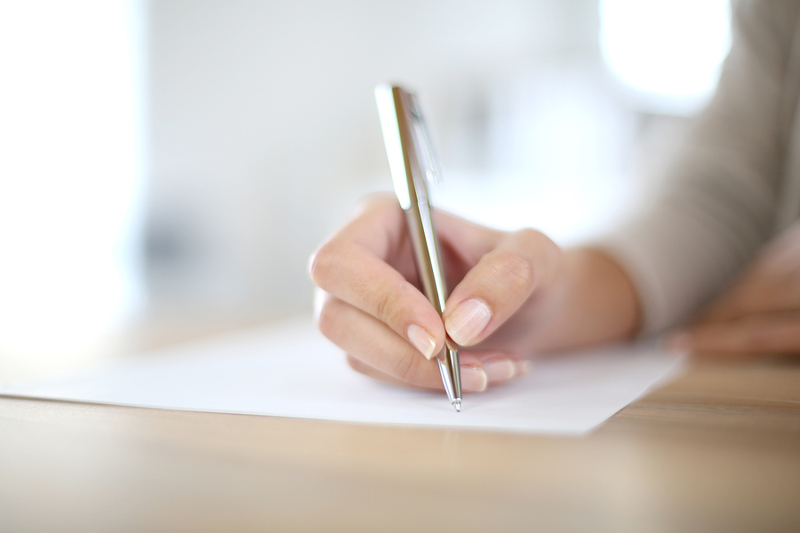 Time management will become a critical part of your role as caregiver, allowing critical time for your own well-being. 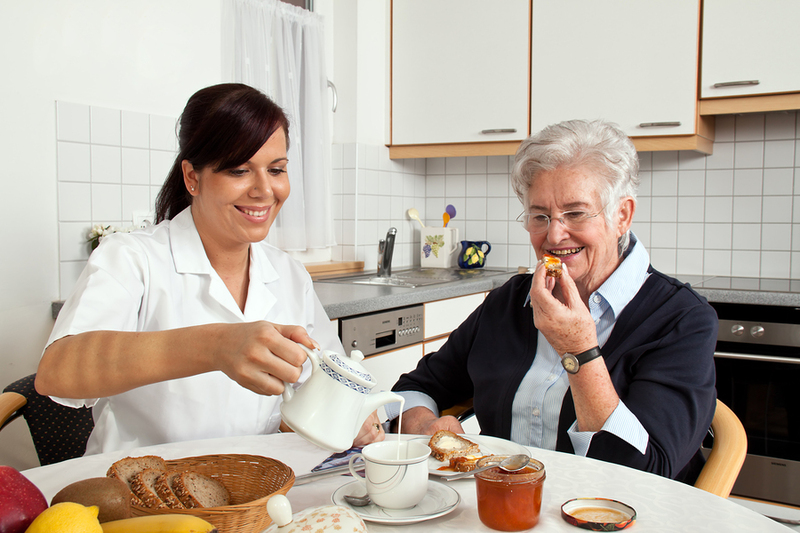 Delegate part of the caregiving responsibilities to a professional care provider, such as Phoenix Home Health Care. Having help will not only free up valuable time for yourself, but will also allow the Alzheimer’s patient a chance to physically and socially interact with a different care provider. For more tips on caregiving management, visit us at MD Home Health, where you can learn more about Homecare Phoenix. Take care of yourself, stay educated, and find additional caregiving through the Phoenix home health care team!